I purchased the Otterbox Defender. It makes the phone a little bulky, but at least I know it'll be protected if it takes a tumble. I should get a Unicorn Beetle SUPCASE instead. It's cheaper and it's just as good. I have always wanted to try a unicorn beetle but always go defender over it. Don’t know why I’ve dropped my work tablet countless times over 4 years and only has to get it changed once cause the corner of the case cracked. I dropped my iPhone X about 3.5 feet in a Unicorn Beetle case last year and nothing happened to the case or the phone. No scratches, nicks, gouges, scrapes, or anything. But if using a new case company gives you pause, keep using what you're used to. Does anyone else find it strange that Apple hasn’t released any cases for this phone themselves? What gives with that? I’d think that if this is the phone that will sell a bunch, then they’d want those cases out especially before the holidays. Any timeline for them? But, my bride saw this one and we really liked the look so this is what I'm sporting currently in black. I'm using a Pitaka MagCase and very happy with it. 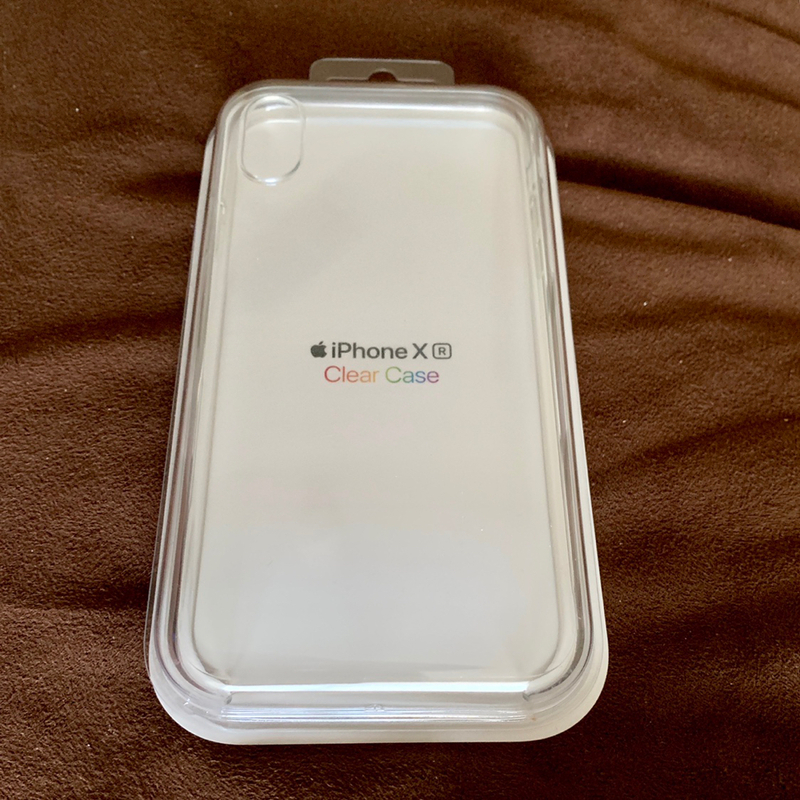 I am using the Apple clear case..
What do you think of it? Seeing some interesting thoughts on Reddit about it. It’s okay. It’s a very sturdy and hard plastic. Good quality and compliments the iPhone XR well. I like my clear soft plastic Dynex case just as well. Tpence2177 and libra89 like this. Got tired of how hard the defender case was to take out of my pocket when I was wearing scrubs. (Most of the time) but loved the holster. So I found this not as much protection as a defender but definitely bulkier than most cases. Also comes with a holster. Haven’t ever had an encased before, but definitely liking it so far. Just enough grip but it’s mostly hard rubber so I think the grey will age well. It’s also cheaper through Walmart online and still comes with an extra screen protector as well that I will eventually swap out mine with. I have mine in aSpigen Crystal Clear case and like it a lot as it shows off my blue phone nicely. I have 2 cases by Tech21 for my Red Xr: the red EvoCheck and the Liberty Grosvenor. Last edited by cyberpaw; 01-11-2019 at 10:58 PM. Rhinoshield crashguard Nx. Really good protection, minimal bulk. Dbrand blue skin. 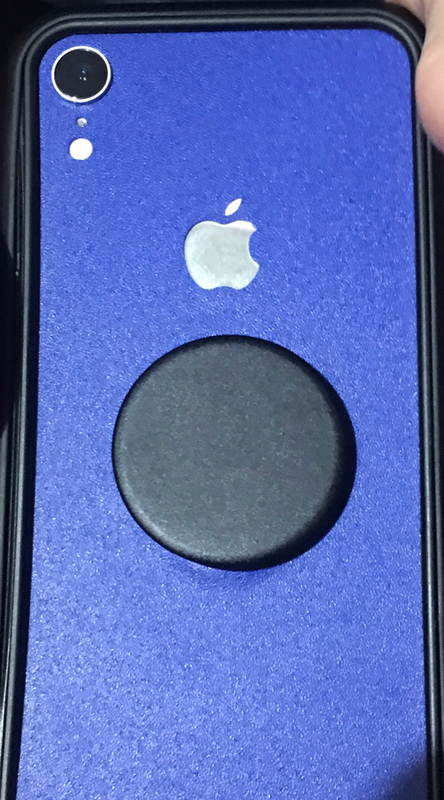 Pop socket. Regardless of YouTube videos I've used the crashguard on my last 4 phones and I still have them all in perfect working condition... I'm not disagreeing with you or the folks on YouTube. This and a tempered glass screen protector and I'm good. I refuse to completely do away with the well done design Aesthetics and turn a beautiful thin easily pocketable iphone into a brick wrapped in a bunch of plastic and rubber that while very durable would in all likelihood be the cause of me dropping the phone to start with because of the fight required to pull it out of my pocket. So far I've had good luck with rhinoshield. I may drop it a foot off the ground and break the phone tomorrow. BUT by the same token I've watched personally as the much revered Otterbox defender as well as the lifeproof cases drop from waist height and break screens as well as just having the phone break completely and no longer work. This isn't a rant, I'm not working for rhinoshield, I have nothing against anyone else's choices. My point is simply that over the years this has worked well for me. I simply posted what I was using, I didn't tell anyone to do the same. By the way I also didn't try to tell others that are using different means of protecting their phones that they should have done something differently. And I have also viewed numerous videos on YouTube that are very pro rhinoshield. Everyone's milage will vary with different cases. The defender is pretty big but the design is better to me than previous generations. I put it beside my friends Xs max in an otterbox pursuit and it's almost the same size and thicker. I don't mind it though as I carried a 6 plus in defenders for years. It’s very bulky and makes the phone twice as heavy. hey that case the otterbox defender pro is at wallmart right now for 44 bux plus tax !!! If your patient you can find good deals on eBay. I found my non pro defender in black do $20 shipped. Using the Mujjo black leather at the moment, same problem as previous versions, lip tapers too near nothing on bottom sides, buttons good and not slippery, also came marked on rear, amazon refunded and said keep it. Don't like the big camera cut out either. Have a Evutec Carbon coming to try, and a Caudabe Sheath which has perfect cutouts all around. There is a 25% code for Caudabe that works on top of their already sale. $16.47US plus shipping, good price.